Separated by an inconceivable tragedy, can faith and love reunite childhood friends and light the way to a bright future? In a quiet corner of northern Edwardian England, Margaret Lounsbury diligently works in her grandmother’s millinery shop, making hats and caring for her young sister. Several years earlier, a terrible event reshaped their family, shattering an idyllic life and their future prospects. Maggie is resilient and will do what she must to protect her sister Violet. Still, the loss of her parents weighs heavily on her heart because she wonders if what happened that day on the lake…might not have been an accident. When wealthy inventor and industrialist William Harcourt dies, his son and Maggie’s estranged childhood friend, Nathaniel returns from his time in the Royal Navy and inherits his father’s vast estate, Morningside Manor. He also assumes partial control of his father’s engineering company and the duty of repaying an old debt to the Lounsbury family. But years of separation between Nate and Maggie have taken a toll and Maggie struggles to trust her old friend. Can Maggie let go of the resentment that keeps her from forgiving Nate—and reconciling with God? Will the search for the truth about her parents’ death draw the two friends closer or leave them both with broken hearts? Pre-Order BOGO offer for SHINE LIKE THE DAWN! Don’t miss out on this BOGO offer! Get the complete details here! I usually am not too interested in poetry but this children’s book was well done. I loved the illustrations and the poems that went with each picture. Hugo and his friends all are well drawn. The poems told a small story through the book. I received a copy of this book from Smith publicity and gave a review with my own opinions. 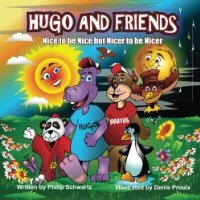 Hugo and Friends follows Hugo the Hippo and his friends as they travel the world together, seeing all of the wonders Mother Nature has to offer. From exploring a wonderland filled with chocolate to soaring high through the sky, Hugo and his friends learn more about their world and the beauty nature has to offer throughout their adventures together. Schwartz has long loved to write poetry and stories, but was inspired to share his work five years ago by his wife, Virginia. Together, they have worked to bring illustrated poetry to the young and the young at heart while spreading awareness of our environmental impact. · Why the continued protection and care of our animal population is of the utmost importance. · Why it is important to teach children at an early age of the importance of preserving our environment. · That we should care about the welfare of our future generations and take action to help them before it’s too late. · Why it’s important to stay young at heart and how his poetry-inspired creations can help people of all ages do just that. This was the eighth book in this series. I liked it. I loved the Evie character and look forward to her story next. I couldn’t really connect to the other characters as well. They weren’t as interesting as Evie. I think the second half of the book flowed better than the first half and that is when I didn’t want to put the book down. I received an ebook copy of this book from Celebratelit for a fair and honest opinion that was given of my own free will. 01grnvelvetglassesCaryl McAdoo loves writing stories for all ages that glorify God, thrilled that Christian fiction fits her life purpose so well. Bold not bashful, she’s quick to share the Bible principles she lives by through her characters. She hopes each title ministers His love, mercy, and grace. Known as the “Singing Pray-er”—with a YouTube channel to prove it, the prolific hybrid author also loves praising with new songs the Lord gives her. She and high-school-sweetheart-husband Ron moved from the DFW area—home for fifty-plus years—to the woods and seat of Red River County. After him, Caryl counts four children and sixteen grandsugars life’s biggest blessings. The McAdoos live a few miles south of Clarksville in the far northeast corner of the Lone Star State with two grandsons. 2 SECOND PLACES: each get: CHOICE of any book in any of Caryl’s series with a surprise. I did not want to put this book down. I laughed and cried during this book. I loved Lydia , Jessica and Liz. Two Englishers and an Amish woman. They became very good friends once Rose passed away and Lydias husband died. All three women learn to live their lives again in new ways. This is a great book. I received a copy of this book from Tyndale blog network and am giving a review of my own free will. When Liz Cannon lost her dear friend Rose, she also lost her partner in the Secret Stitches Society–the name they gave themselves while delivering gifts of hope to troubled folks in the dark of night. Liz convinces Jessica to keep the anonymous society going, despite the younger women’s inadequacy with knitting and sewing needles. But soon Liz has problems of her own as the life she has rebuilt for herself begins to crumble again. When Liz and Jessica choose Lydia for their first mission, the three women cross paths and form an unlikely friendship in the aftermath of tragedy. As they walk together through triumph and heartbreak–through grief and new chances at love–they begin to discover that with friends by your side, a stitch of hope can be found anywhere. 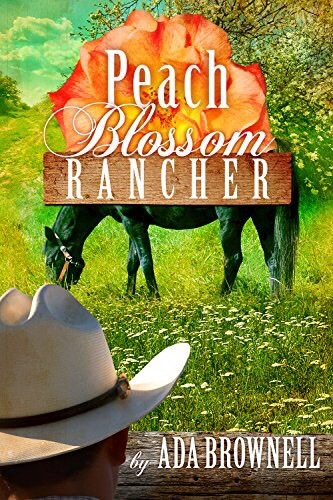 This is a wonderful historical western romance. This had a little suspense mixed in. I love that. Betsy and Joel really get on each other’s nerves at first and then get to know each other. This made me laugh and cry at different times. There was a nice storyline with you learning what the true meaning of a hero really is. I received a copy of this book from the author and gave a review of my own free will. Jennings Offers Another Delightful Blend of History and RomanceBetsy Huckabee might be a small-town girl, but she has big-city dreams. Writing for her uncle’s newspaper will never lead to independence, and the bigger newspapers don’t seem interested in the Hart County news. Trying a new approach, Betsy pens a romanticized serial for the ladies’ pages, and the new deputy provides the perfect inspiration for her submissions. She’d be horrified if he read her breathless descriptions of him, but these articles are for a newspaper far away. No one in Pine Gap will ever know. Deputy Joel Puckett didn’t want to leave Texas, but this job in tiny Pine Gap is his only shot at keeping his badge. With masked marauders riding every night, his skills and patience are tested, but even more challenging is the sassy journalist lady chasing him. I really enjoyed this second book in the Peaches and Dreams series. I found this author through bookfun.org and really enjoy her western historical. This book has many characters within the book and a few different storylines. They are both well done and all the characters work well together. This is a fun series and I hope there will be many more by this author. I received an ebook copy from bookfun.org and I gave a review of my own free will. A handsome young man inherits a ranch in ruin and a brilliant doctor finds himself confined to an insane asylum because of one seizure. Yet their lives intersect. Will they achieve their dreams? John Lincoln Parks has two goals: Restore the Colorado peach and horse ranch to its former glory, and marry elegant Valerie MacDougal, a young widow and law school graduate. A stranger about to give birth in his barn, a murderer on the loose, a feisty female neighbor who thinks she’s in love with him, a sheriff, and a determined attorney interrupt his intentions. At the same time, Dr. Dillon Haskill desperately hopes for release from the asylum for the insane, and he wants to take with him Pete, a ten-year-old victim of Down’s Syndrome, and Jim Cook, a teacher, paralyzed in a logging accident. But asylum dignitaries believe these patients are either lunatics or demon possessed. An intriguing story wrapped around inspiration, suspense, humor, and characters you’ll love. This was a fun cozy mystery. Inspector David Graham is a very interesting cop in this small town. He learns about a child that disappeared 10 years before and starts to investigate again. This was well done. I received an ebook copy from the author for a fair and honest review that I gave willingly. A missing girl. A broken doll. Dark, deviant secrets. When 15-year-old Beth Ridley vanished on her way to school, it was a mystery that baffled and shocked the small community of Gorey, Jersey. A leg torn from a doll she was carrying was the solitary clue as to what happened that day. Now, on the tenth anniversary of her disappearance, Detective Inspector Graham is taking another look at the case. His Sherlockian tendencies are set alight. What he finds will rock the town, stirring memories long buried and forgotten. There are painful truths to face. And what of Beth? Can Graham discover what happened? Could she still be alive? Buy this book because it’s good.